For all those planning to launch or start a new Mobile Application. Are you curious about the working of the application and need to know how the application will succeed? 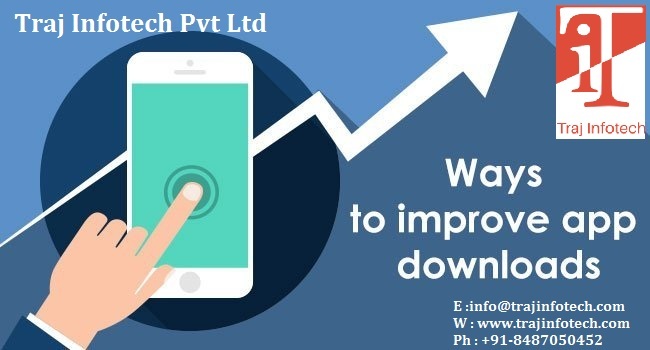 To succeed, you need to increase the number of application downloads, for this, one should implement some useful mobile application promotional strategies, let us see the different ways that can improve downloads of your mobile application. Let’s begin with the benefits of application store optimisation or ASO. It will boost the visibility of your Mobile Application; increase in visibility will make sure, more users are able to see your application in the store, increasing the number of downloads naturally. Though ASO is popular, still many application marketers and developers are not using it. High time that you make use of the benefits, of this cost effective method, to boost the application downloads. To increase the number of downloads, you need to create an awareness of your brand and also push the online presence of your app. For all this, creating a landing page or a unique or appealing website is very important. 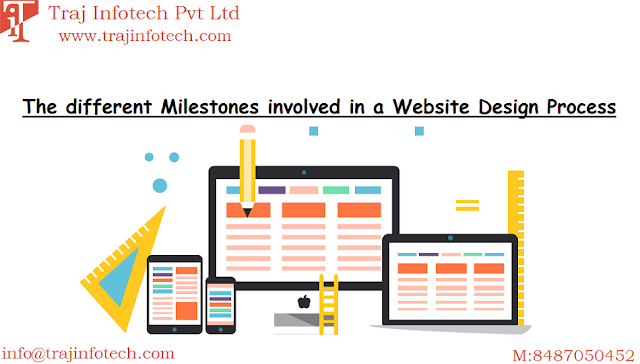 You can hire a Traj Infotech, a professional Digital Marketing Service Provider, to build your website. The content should be shareable, interesting and valuable. Building social presence is vital; ensure to have a Twitter account, Instagram, Pinterest and Facebook account and a LinkedIn profile. One more good strategy is, to ensure that your app is free at the time of launch, this will increase the number of downloads, and making your app free for a few days, will encourage more and more users to use your mobile application. Getting a positive or good review and rating will improve the number of downloads. Less reviews or a low rating will affect your conversion rate. App with a lot of positive review and rating will achieve best results. The last method is, to get more and more people to talk or discuss about your mobile application, it will create brand awareness and build your brand reputation, and leading to an increase in your mobile application downloads. Mobile App Development Service provider - Traj Infotech Pvt Ltd.